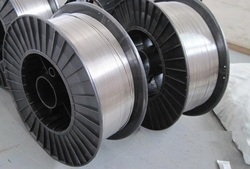 Our range of products include flux cored arc welding wire. E71T1 is a Titania type Flux cored wire for all-position welding with Co2 Gas. Applications include ship building, Pressure vessel welding, heavy structural steel fabrication etc.